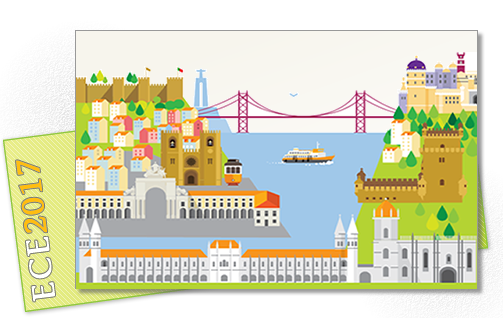 The 19th European Congress of Endocrinology will take place in Lisbon, Portugal between 20 – 23 May 2017. We are delighted to provide you with details of the 19th European Congress of Endocrinology which will take place in Lisbon, Portugal. On behalf of the Programme Organising Committee and the Local Organising Committee we are delighted to invite you to the city of Lisbon for the 19th European Congress of Endocrinology. We would like to encourage you to all support and participate in ECE 2017 and become part of the society’s ultimate aim to develop the best knowledge in endocrine science and medicine. We aim to shape the future of endocrinology to improve science, knowledge and health across Europe and beyond. By uniting, supporting and representing our community we can help create better medical outcomes throughout endocrinology. We look forward to welcoming you to Lisbon for ECE 2017.